Last week Marie Sharp, the matriarch of Marie Sharp Pepper Sauce empire had recently buried her husband Gerry. Her time of mourning is doubled as her eldest son, Michael Williams who manages the Belize City Sales office for the company was brutally murdered in Belize City. 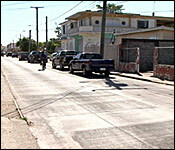 Williams had moved his family from the Stann Creek District to Belize City where they had made their home in the Kings Park Area. Love News spoke to his son, Jody who says that it is evident that someone had put out a hit on his father. 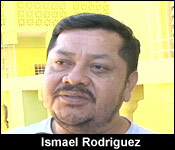 Jose Sanchez: “They did not go in the vehicle to take his wallet or take anything from him? 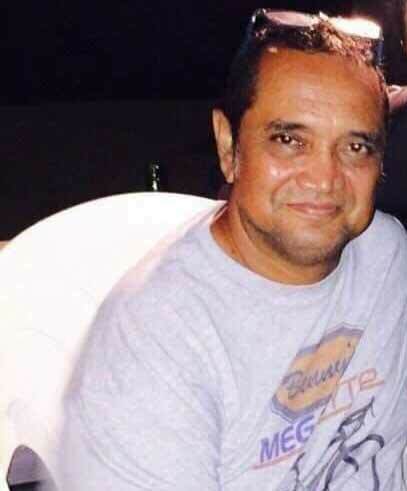 Jose Sanchez: “There are more questions that answers but the murder of the prominent businessman shows that not all violent murders are gang related. 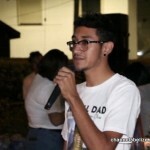 Jose Sanchez for Love News. Michael Alexander Williams was 58 years old. 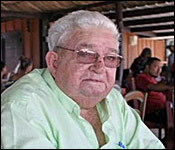 Well-known Belize city businessman, Michael Williams was executed on Sunday morning. He is the son of icon of the hot sauce icon, Marie Sharp. Williams was shot dead on North Front Street after midnight. The family is convinced it was a planned hit but they are baffled as to why anyone would want to take his life. Courtney Weatherburne has more. Almost every day Michael Williams would be at the Marie Sharp's Meighan Avenue warehouse in the city, overseeing deliveries and carrying out other duties as the general manager. His staff enjoyed his company especially his employee of 19 years, Ismael Rodriguez who celebrated his birthday with Williams on Friday. "Thursday was the birthday and on Friday he decided to take me out, very sad." "You were very close with him? You guys had a close relationship?" "Yes, we were like brothers." And it hit Rodriguez and Williams' family very hard when they got the news that Williams was gunned down on North Front Street early Sunday morning. 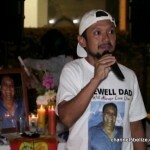 "I am still deeply hurt about what happened to my dad, all of us. I got the news Sunday morning around 8:00 via facebook and you know we left immediately to Belize City and we heard what happened that he was killed on North Front Street." According to the report, Williams was dropping off his girlfriend at her home on North Front Street. While they were parked in front of her house talking, two gunmen emerged and one of them shot Williams, shattering the driver's side window and hitting him in shoulder and armpit. 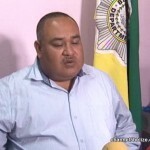 "They observed a gold in color SUV parked on the right hand side of the street inside of that vehicle, the motionless body of a male person was seen who was later identified as Mr. Michael Alexander Williams 58 year old general manager of a Belize City address. 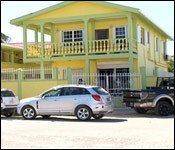 Upon opening the vehicle police found that he was suffering from two apparent gunshot wounds to the body." At this point neither Williams' family nor the police know why Williams - a beloved father and well-known businessman was targeted. "We want answers. It wasn't just a random thing, It was a hit, honestly it was a hit, We want answers, we want justice." "We are depending on the police to get answers, We are working closely with them." "He has no record with the police and the female who was along with him is also a person that does not show up on our records likewise." "Anything to indicate if he was set up any at all?" "We don't have any indication of that and we don't have a motive as to why he was shot." "He was a very good man. He loved his family. He loved his business, He is the eldest son of Marie Sharp." 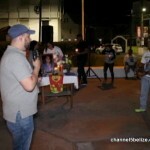 "He went out of his way to help anyone as well, he had so many friends in the Belize city especially. Everyone is shocked, everyone surprised and as you see on social media and people coming here you know everyone remember Mr. Mike. Everyone loved him." "Mrs. Sharp just lost her husband a couple weeks ago and now her son so right now we especially, we boys right now are being there for my grandmother and my mom who deeply will miss my dad." 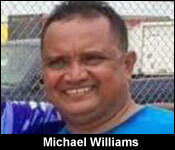 Williams leaves behind 3 sons. Police are questioning his girlfriend but at this point they have no suspects. Last night - all the headlines were about the murder of Michael Williams, the 58 year old son of food industry icon, Marie Sharp. It's a tragic loss for the family - but you don't know how tragic until you talk to them. It's the third loved one they've lost this month: Marie's Husband Gerry Sharp died at mid-month, and then her sister's husband, died shortly after. They had just buried him, when Michael was killed. It's an incomprehensible succession of losses - and today we sat down with Ms. Marie to ask her how she is holding up, and how she's doing. 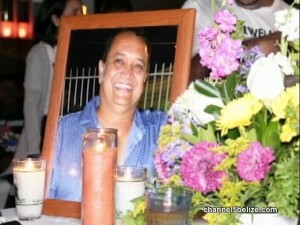 Here's her conversation with Jules Vasquez:..
"To be honest with you I couldn't believe it. I was at home alone and my brother came to break the news to me, but he just couldn't talk right, so I knew something bad had happened." "And then he said I don't know how to tell you, I don't know how to say it. Its Mike, he said they shot Mike. I just couldn't believe it. I fell to pieces." "You're the mother, the grandmother - you have to be strong, but you're also hurting greatly. How are you managing all this Marie?" "To be honest with you I manage all of this with doctors pills. I take a lot medication and try to control myself for my children, my grandchildren. I have to be the strong one in the family. That is the only way I can do it, otherwise I'll just fall to pieces. I've just loss my husband. I'm not even over him yet. He is not even cold in his grave and I have to put up now with my son. Its very hard." "Why, Mike was not a bad person Mike was somebody very loving, very giving. He had a loving family. He loved his children. He loved his wife. He was a very loving person. So I couldn't understand why. I know on weekends we would go and have his drinks that he probably maybe loses it or get violent. My thought went about that. I said maybe one day he had some drinks and he insulted somebody or whatever. I Knew he was running around with the woman that he was with, but I can't conceive or understand why anybody would want to kill somebody. In my mind she could be the only reason, because I don't see Mike having enemies, I don't see Mike having doing anything out of the way. He was at my husband's funeral. He was at my brother in law funeral Saturday. They killed him Saturday night. He was there with me Saturday evening. Saturday evening, he came to the vehicle, I was leaving and he gave me a big hug right out there at the gate. Not knowing that the same night they were going to kill him." "I have to continue. My business is my children's legacy, my grandchildren's legacy. So I think I have to make sure that my business continues. I am the person that do all the research and development. I develop all the new products, so I try and bury myself in work to sort of like cover my hurt." "The people out there that are doing all this killing have to sit down and think, you kill somebody and you got rid of the person. the person is dead and gone. but think of the family that you leave behind, the one who is bearing all the hurt. That is one of the thing these people who are out there killing should think." 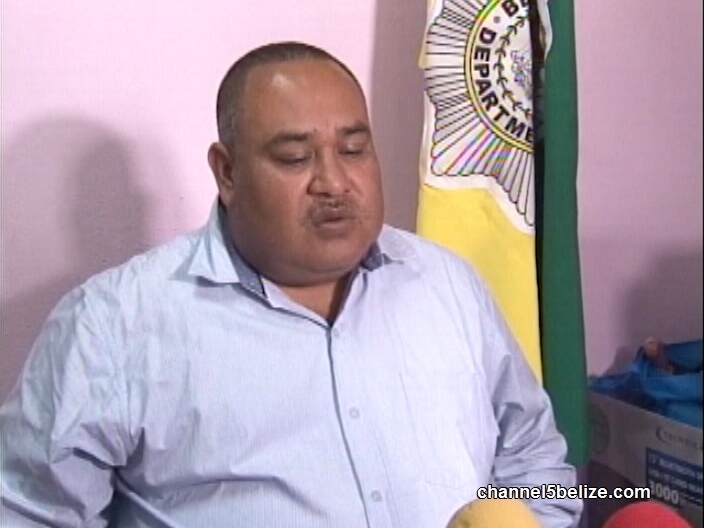 "I am very grateful to all of Belize, because I know that they look at Marie Sharp as dis da fu we and I am very happy and thankful for everybody who has called in to give condolences." 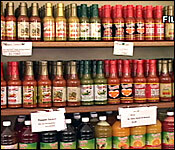 Sharp says - despite all the loss she has endured - she plans to go ahead with the launch of a new hot sauce on Valentine's day. She had three sons, with two now remaining, and her son Michael also had three sons. There have been no arrests for his murder. 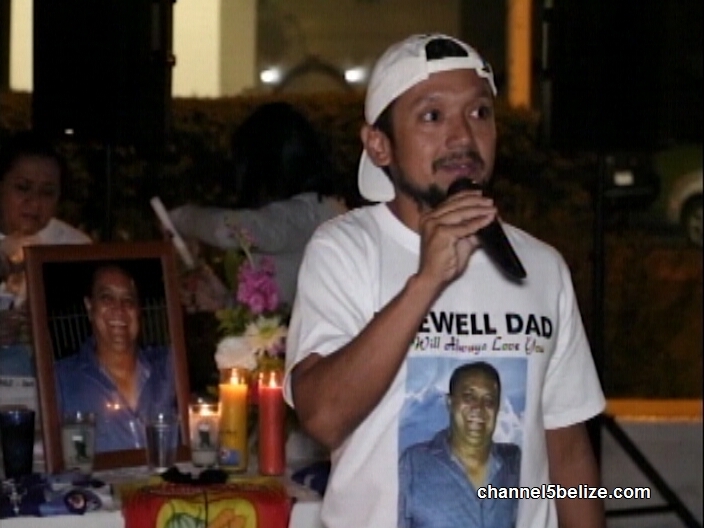 Five days ago, Belize City businessman Michael Williams was executed in the old Capital. 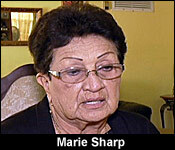 The son of the famous Marie Sharp was the general manager of her wholesale office here in Belize City. Williams was with his girlfriend inside his SUV on North Front Street when they came under fire. Bullets hit Williams on the arm and he died minutes after. His girlfriend escaped with minor injuries and tonight police are still trying to figure out who did it and why. 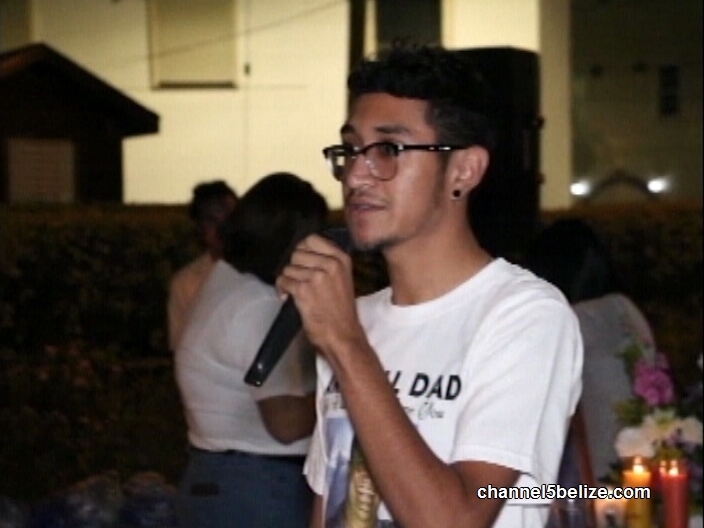 Meanwhile, Williams’ family and friends held a candlelight vigil on Wednesday night at Battlefield Park. News Five’s Hipolito Novelo has the story. Patrick Williams is speaking of his father, Michael Alexander Williams, the businessman who was shot dead at around midnight on Saturday. 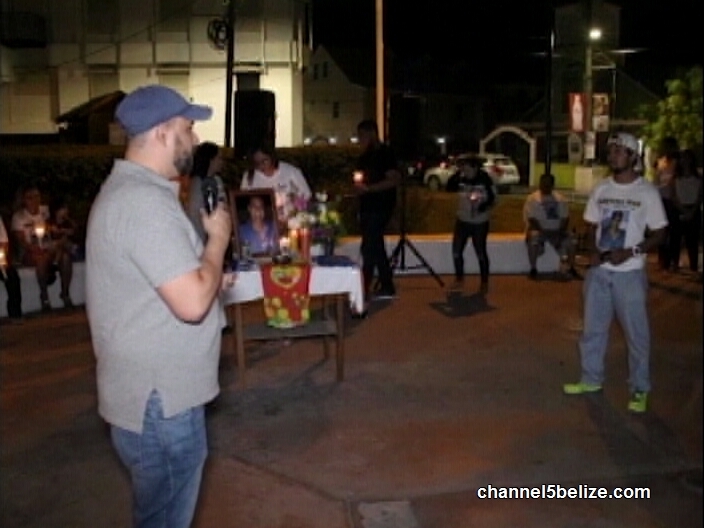 His family, close friends and members of the Cycling Federation of Belize gathered at Battlefield Park on Wednesday night to pay tribute to Williams and say one last public farewell to a man many people respected and loved. Williams is seen as much more than just the Belize City branch manager of Marie Sharp; he is seen as a man of reputable character whom others found a friend in. A motive has still not been ascertained. 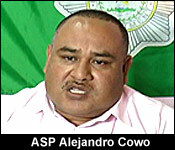 Hipolito Novelo, News Five. This is a heartbreaking story.... Mr. Michael was definitely a man of integrity and class. He assisted me via telephone over the years with product recommendation, recipe interactions and most recently our Gift Shop Deli line. Even though our relationship was purely professional I found him to be a man who cared about our success as much as his own. We will miss you Mr. Michael.